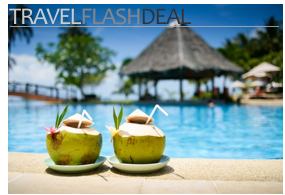 We are surprised how often we meet people heading off on a nice, reasonably expensive holiday with cheap sunglasses. Their logic goes something like this: I’m afraid of something happening to my sunglasses, and I might loose them, and since all sunglasses are basically the same I’ll just get cheap ones. Well, besides the fact that most cheap sunglasses are usually also cheap looking, the problem with skimping on your sunglasses is that they will certainly cause more damage to your eyes than not wearing sunglasses at all. The primary way sunglasses protect your eyes is by keeping out harmful ultraviolet (UV) light. UV occurs across three bands: UV-A (which prematurely ages your eyes), UV-B (which causes blurry vision and wrinkling around the eyes) and UV-C (which causes cancer!). No cheap sunglasses block all UV light. Those that claim they do are either lying or talking only about UV-A, which is the least harmful of the UV bands. And your eyes are more exposed to the unblocked UV bands wearing cheap sunglasses than they would be sunglassless because the one thing cheap sunglasses do well is reduce the overall amount of light, which causes your pupils to open more, which causes your eye’s dose of harmful UV to be even larger! Further, over the long run the blue light within bright sunlight damages your eyes. Most sunglasses—and all cheap ones—mismanage how they handle blue light. Too much blue light dulls your vision. To get a pair of sunglasses that provide optimal protection you have to spend at least in the neighborhood of $80/€65. And even that’s on the budget end of things. $150~$250 is more reasonable. That’s expensive compared to the cheapest specs but a bargain compared to the importance of your eyesight. Among the “good” sunglasses there are several brands to choose from. 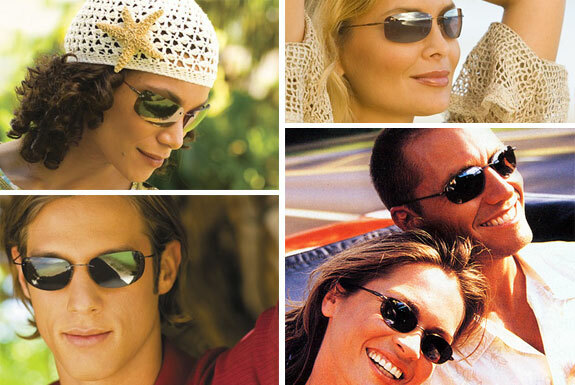 Spot Cool Stuff’s runaway pick for the best sunglasses: Maui Jim. Besides offering supreme protection from UV and excellent blue light management, all Maui Jim sunglasses are perfectly polarized. 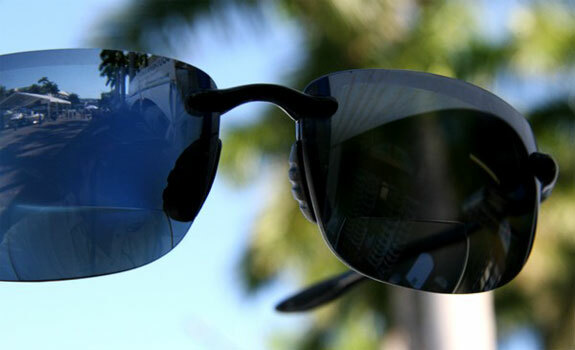 This polarization blocks out glare, making them essential wear for snow and water activities. The reduced glare also makes driving easier on the eyes too. Maui Jim sunglasses also tend to be lightweight, their Sport and Titanium collections extremely so. Their sunglasses are also are durable. And some Maui Jims come with Flexon, which is a technology that allows your sunglass rims to blend to the shape of your head after the first few times you wear them and then to “remember” that perfect fit. (This is one reason why you never want to buy a used pair of Flexon sunglasses; that and the majority of new so-called Maui Jims sold on eBay are fakes!). Of course, as you regular Spot Cool Stuff readers know, we always seek a mix of form and function. 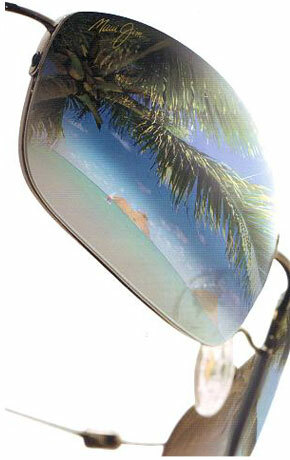 Which is the other half of the reason why Maui Jim makes our sunglasses of choice: They look extremely cool. Regardless of that brand of truly protective sunglasses you choose please, do your eyes a favor—throw way your cheap pair of sunglasses.